Hello! I am Mulan from Chiang Mai. I am passionate in Thai cuisine and would love to pass it to you. We will guide you how to cook authentic classic Thai recipes which are famous around the world. 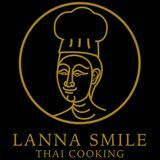 Our goal is making sure that all the guests leave Lanna Smile full of joy, and with a smile, just like our school name! Trips created by LannaSmile T.